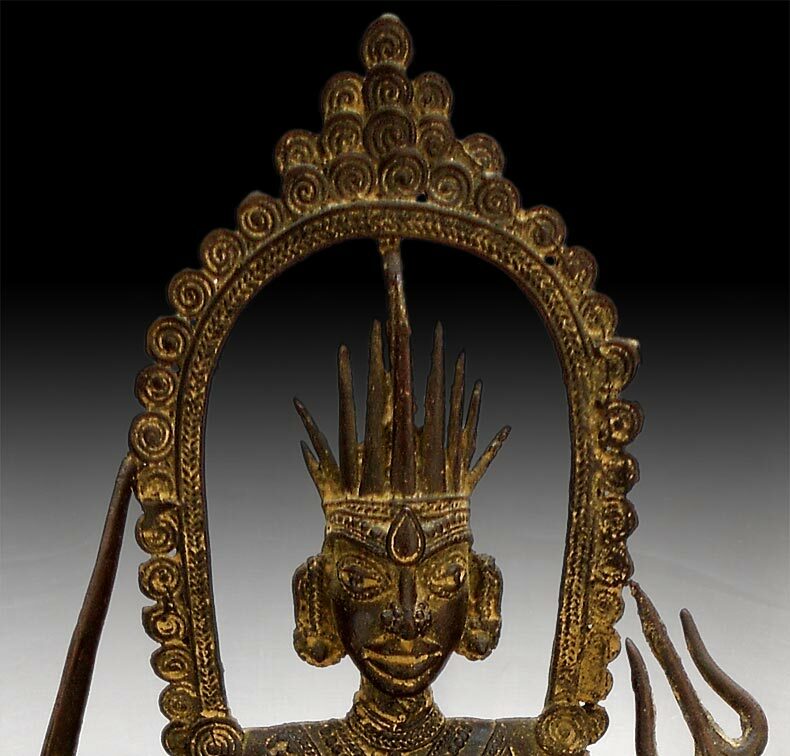 An primodial version of Shiva in the fierce form of Bhairava, one of the most important deities in Hindu, Buddhist and Jain alike. 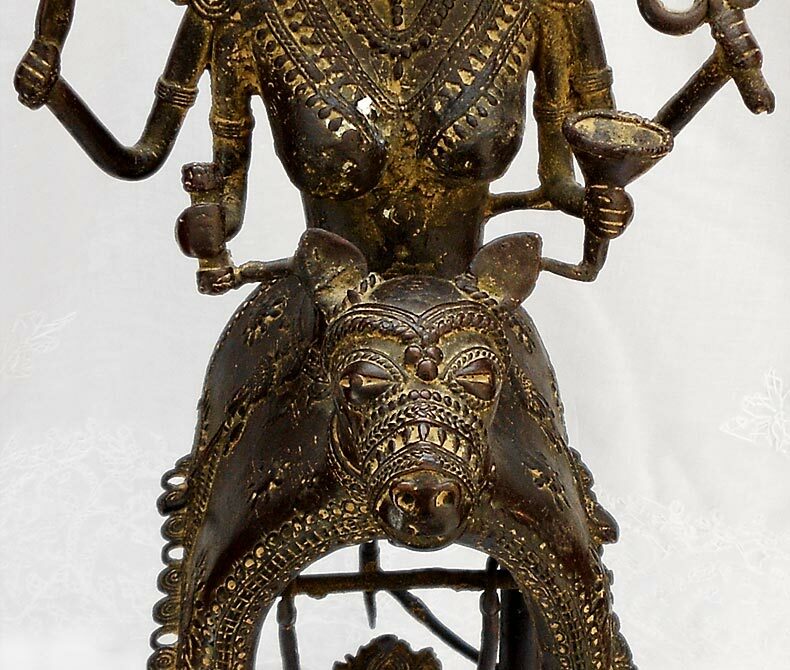 Of Bastar Tribes origins, this fantastic tribal bronze statue depicts Shiva Bhairava on a large dog vehana, with a smaller Shiva on a swing underneath. With an emphasis of animistic beliefs in Hinduism, this large statue is remarkable in its elaborate artistry, as well as it is an increasingly rare specimen from the fast disappearing tribes in Chhattisgarh, Orissa, Jharkhand and West Bengal areas. The bronze statue is hand cast in multiple sections, with extensive hand-chased works on hot metal, aged with traces of malachite and a reddish patina overall, and is in very good condition.